Olson Defense has hundreds of satisfied clients. Here are a few notes from clients who have expressed gratitude for the personal service and knowledgeable representation they received by working with Eric J. Olson and Bill Bailey. Dear Eric, I am so thankful for the many hours, trip and more trips to court, that you were with Rosie. I know your calm spirit and assurance help us get through this. You are an excellent lawyer. Rosie is doing well. I would recommend you to everyone and hope I never need your services again. God bless you Eric. Dear Eric, Thank you so very much for going to court with me and taking time to help. Thank you for your hard work, I really appreciate it. Hello Eric - I just want to thank you for taking my case and assigning Bill Bailey to help me. I have no limit of great things to say about Bill. He took an intimate involvement in my case, knowing the details inside and out. His professionalism and demeanor are outstanding. Finally, his presentation in front of the judge was outstanding. I felt privileged in how he guided the conversation, his timing, and taking charge when necessary. 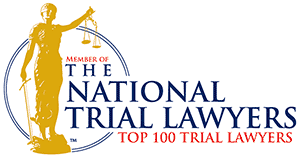 I'm so grateful that your firm represented me and assigned such a high caliper attorney. Thanks again! Eric, words can't begin to describe how thankful and appreciative Sean and I are for all you have done to help Katie. You did a wonderful job in Court - as was expected-you always do well! We were so anxious, you brought such a calm to all 3 of us. You are truly a wonderful person, Eric. You are so patient and calm. Again, thank you. Please thank Nicole as well. Take care. Thank you! Awesome to meet you and work with you. Thank you very much for helping our son. We are very happy with the outcome and we are sure that, without you, the outcome would have been much different. Thank you again for your help. Dear Eric, just a special thank you from me! I know if it weren't for your superb professionalism, expertise, compassion, and of course the excellent attorney you are… my life would have been a terrible detour. Words cannot express my gratefulness. All the best to you always. Thank you for seeing us through and staying with us until the very end. You inspired us to have faith in you. Thank you for pursuing the modification of sentencing. Your “what have we got to lose?” attitude saved me. You're the greatest attorney, thank you for being you. Thank you for making my situation less difficult. Thanks to your staff as well. Thank you for the help over the past two years both inside and out of court. Thank you for everything you were wonderful! You made our holiday so happy, James is doing well. Thank you for helping my son in his time of need. You're the best, thank you for the help with my ticket. Thanks for defending me in this serious issue. Thank you for really caring for me while working on my case. I really appreciate everything you did for me and how well you handled my case. You're an awesome attorney. I am extremely grateful for your services. Thank you for all that you have done, I now feel like I can move forward in life. Thank you so very much for taking such good care of my case. I feel like you really went above and beyond to see that I received a fair resolution. I thank you for that; it really shows your dedication to your work. Thank you for your assistance and advice with our case. I will be sure to pass your name along to others. Thank you so much for your representation. Thanks for everything you have done for us. You really are an amazing attorney. Thank you for all that you have done for me. Thank you for your patience and kindness to me throughout my case. Thank you for your services. You are very good in the courtroom!!! Thank you for your hard work and professionalism during trail. It was a pleasure working with you. It's guys like you that give attorneys a good name. Thank you for representing me. Thank you very much for all your hard work. You're an amazing attorney. I appreciate the way you handled my case. I'm very pleased with the outcome. Thank you so much for your help in getting me out of the mess I found myself in. It was comforting to know you were on my side. We will never forget your hard work. Thank you so much. Thank you so very much. Your integrity, professionalism and ability to negotiate have proven to be a valuable asset in my case. 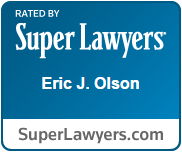 Contact Eric J. Olson and find out more about building your criminal defense.